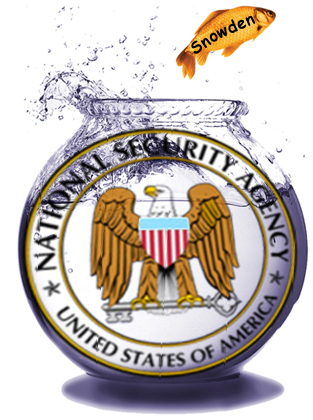 This is directly related to my last post Create your own Fishbowl: an NSA Approved Telecommunication Network. That tutorial is dedicated to setting up both OpenVPN and Asterisk in order to provide secure end to end VoIP communications. This is part of a new project to make it as easily deployable as possible. PiBowl server is the first part of the puzzle. Its specifically designed to be a one stop shop for installing and configuring Asterisk on a Raspberry Pi. For the demonstration, I am assuming that the user has a fresh installation of Raspbian on their SD Card. The installation script has also been tested on Debian Wheezy, and works just the same. PiBowl is hosted on github. You can either clone the repository, or if you don't feel like installing additional packages, access it directly using the following wget request. Now that you have the script, you really only need to edit two variables defined in pibowl.sh. AST_IP is the IP address of the interface that you want TLS to bind to. This prevents external users from probing or accessing Asterisk. The only traffic coming in or out should be through the VPN. ALLOW_CONTACT is the range of IPs that are able to make or receive calls. This is redundant, but ensures that we don't have any unencrypted or unwanted calls taking place. You need to run PiBowl as sudo in order for the install to complete. If you're compiling on a Rapsberry Pi, go ahead and make a pot of coffee, bake a pizza, mow the lawn, take a shower, and then come back to see if it's done with the build yet. Interaction is minimal and requires your input while creating the Certificate Authority password used for certificate signing, and when it comes time to build client keys. You can build as many client keys / SIP users as you want during the configuration. Each user will be assigned a semi random password, as well as a sequential dialing extension. Extensions can be changed by tweaking the EXTEN variable in pibowl.sh. If you need to add users later, simply refer back to the original article for how to do it manually. Plans are to build similar configs for a client based Raspberry Pi as well. If you'd like to help with the client side, feel free to send pull requests to the github, and I'll merge them in as appropriate. This will hopefully show people that the concept is relatively simple and easy to deploy. As this becomes more user friendly, I hope that it can be used to connect friends and families in a secure manner. sslnuke -- SSL without verification isn't secure! Copyright 2014 Chokepoint. Powered by Blogger.